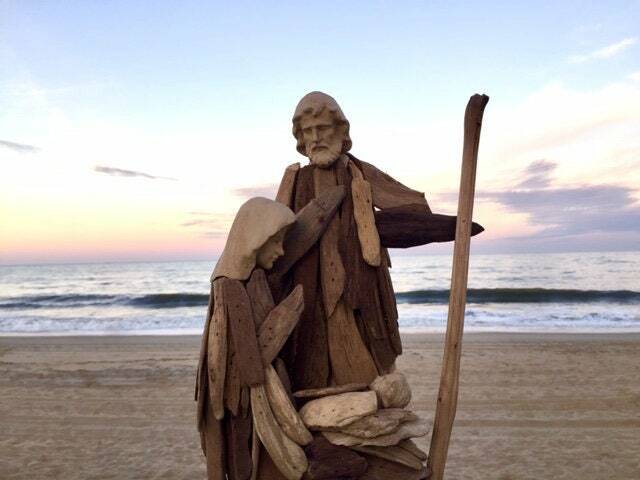 This LARGE driftwood nativity scene is perfect for your last minute gift giving. Order soon as we only have a few. Because these are handmade, each is slightly different, but all include the holy family: Mary, Joseph with staff, and baby Jesus in manger with beautifully carved faces. Measures approximately 12" tall, approximately 7" wide and about 7" deep. Please note-these handmade tabletop nativities do vary slightly-which adds to the character of each one. Your wood nativity scene will ship in about 3-5 business days via USPS priority shipping, so you receive it 2-3 business days after we ship it. Fast delivery. Beautiful piece...just perfect! This nativity is beautiful. 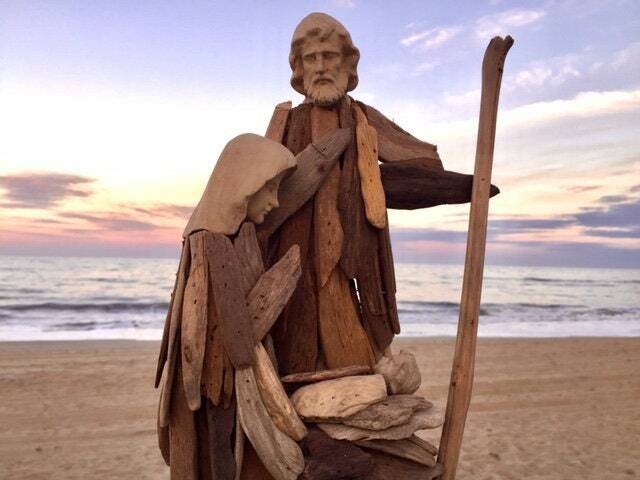 I love what the artist has been able to create with driftwood and love the faces of Jesus, Mary, and Joseph. It arrived very quickly. I am pleased to be able to display such a moving and creative nativity. Many thanks! Shipped on time. Made nice gifts!